We are finding interesting new ways to hardlink data, making connections from the physical world to the digital world using mobile technology. Quick Response codes aka QR codes are one such innovative tool to help strengthen that connection. The process is easy, users with smart phones + correct reader application can scan the image of the QR Code to display text, contact information, receive a SMS, or open a specific landing page in the phone’s browser. Although they have been around for nearly two decades (since 1994, originating in Japan by Denso Wave to help track vehicle parts), they have become prevalent in the recent years given the widespread usage of smartphones that have inbuilt QR reader capability if used with the right QR reader app. 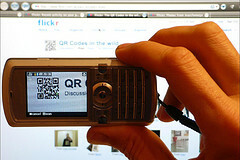 What makes QR code interesting and relevant is their widespread (potential) usage in our modern lives. You can create a unique QR code and make it do a number of dynamic things for you, based on your needs. Such as, personal-branding, attach it to your resume or business card and connect it to the ‘About me’ or ‘Contact me’ section of your blog. 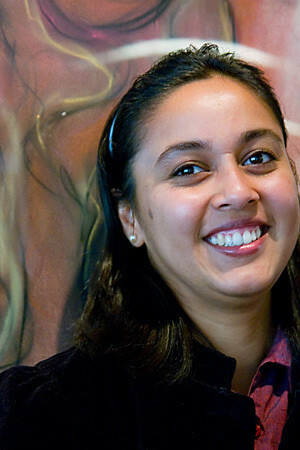 It could also be used to drive profile information and status updates on your social media handles (LI, FB, Twitter). Imagine the possibilities if your designer clothes could talk for you! Just scan the embedded QR code on the fabric and find out all about the winter collection along with the catalog listing from the Designer’s website! Wondering what the nutrition value is for a bag of kale you bought the other day, while sifting through your cookbook for a new recipe? Just scan the printed QR code on the package and voila! Looking to buy a house but don’t have the downtime to make all those physical trips, the QR code printed in the newspaper ads or billboards as you are driving by can make your life simpler. 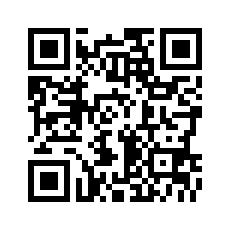 Simply scan the code using your smartphone and get a video tour of the house or neighborhood right at your fingertips. It’s Friday evening, and you are standing outside the movies trying to decide which show to go to? Just scan the poster with the QR code and watch the movie trailer or Director’s cut and pick your show! While this might sound like a common, mundane lifestyle for the Japanese, the rest of the world is still at different stages of the adoption cycle. It’s not only futuristic in its appeal and applications but can be a huge global step in our efforts to go green and lean worldwide with less paper consumption! The possibilities are limitless with tremendous interactive opportunities in the world of marketing and advertising. Whether you are an established business or just starting out, QR codes can help bridge the gap between the physical world and the virtual one allowing for a richer customer brand experience irrespective of, whether you are physically present at the store or sitting back at the comforts of your house on you smartphone! …Have I gone Matrix on you yet?! Have you used QR codes? What has been your experience with it? Viji, I just helped a real estate agency start using the QR codes on their material (flyers and signs) this week! Found a few neat tools to not only generate the codes but also track links including Google, Bit.ly and Delivr. Also noticed them in Best Buy a few weeks ago on every product on the floor. Made it easy to go to product page and faster than using iPhone app! That’s amazing! Did you have to deal with any privacy issues/ concerns around it? No because the realtor has permission to sell the house via signage and website so I don’t think privacy is an issue. Thanks for the link-back Maura!